A boy and his father were walking along a road when they came across a large stone. The boy said to his father, "Do you think if I use all my strength, I can move this rock?" His father answered, "If you use all your strength, I'm sure you can do it." 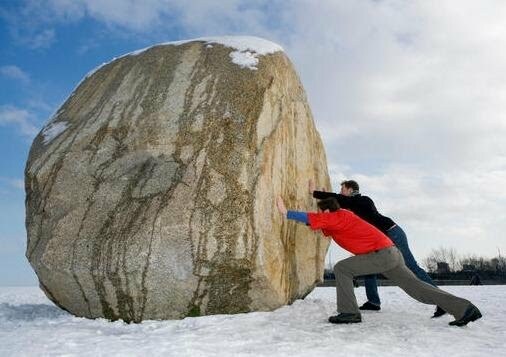 The boy began to push the rock. He pushed and pushed, but couldn't budge it. Feeling defeated, he admitted to his father, "You were wrong, I can't do it." The father placed his arm around the boy's shoulder and said, "No, son, you didn't use all your strength - you didn't ask me to help."